I've gone for the vintage Radiogram look, still work in progress but 90% complete. Awesome. Simply awesome. I wish I had the time to build a version like that. Well, I don't even have the space, and should rather think of selling some of my prototypes of various projects rather than building more. But anyway: It's stunning to see instruments built from my PCBs that surpass what I had actually in mind when I designed them. Love it! Many thanks for the kind words Jurgen, I'm humbled. Your designs are truly outstanding and it is only this that allows us to build modules that go way beyond anything similar; keep up the good work! Wow, very impressive. I love sliders...though I can't seem to really source ones I like. What sliders/knobs did you use for that thing? 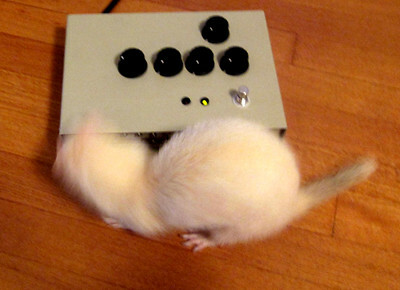 I assume they're PCB mounted? They are 10K log rather than specified value (50K of 100K? ), however I checked it out with JH and 10K Log work fine. 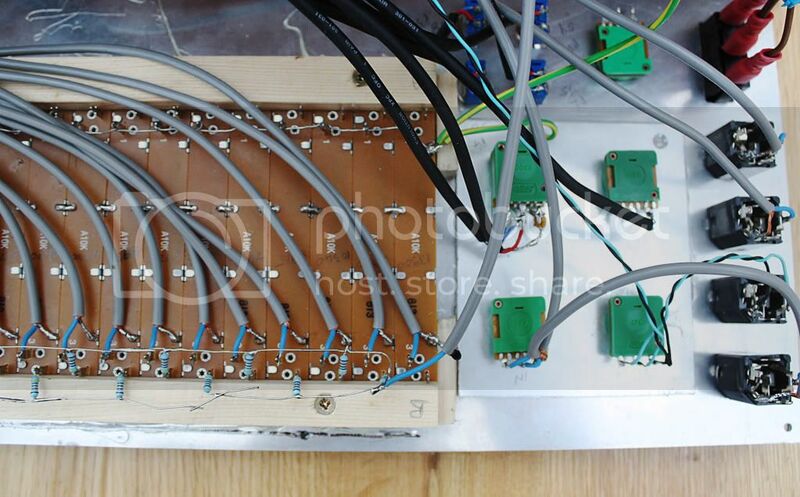 The pots are not fitted to a pcb or matrix board, they are fitted inside a timber frame with a couple of removable retainer strips so that I can replace any sliders should they fail, they are all hand wired - lots of work! I designed this part first then designed the panel around the slider centres I ended up with. Certainly possible to fit them to a pcb but it would be expensive as a one off. Front panel was made by Schaeffer as a plain aluminium panel with cutouts, this had a glossy photo paper printed overlay which was glued on then sprayed with 3 coats of satin acrylic laquer for protection. I am lucky that I have access to a large format A0 size printer which prints to a roll of thick glossy photo paper I have panel in Shaeffer/ front panel express .fpd format if you need it - obviously it will only work with the same pots I've used or narrower ones fitted to a pcb. Thanks. I can't seem to find nice sliders here in the states. I'll have to check how much shipping will hurt. Again more class. Its nice to get a good visual representation of settings. That must of taken a while to build. Nice work 2thick4uni. The more I think about this the more I wonder...do you have any pics of how you did this? Sorry for slow reply, my camera and String filter weren't in the same location. Couple of shots of the pot retaining arrangement as requested, the two wooden strips that retain the slider pots are screwed to two pieces of wood underneath which are bonded to the aluminium front panel, hope this makes sense. All cables are shielded, not sure if it's necessary but I just wanted to keep the noise floor as low as possible. 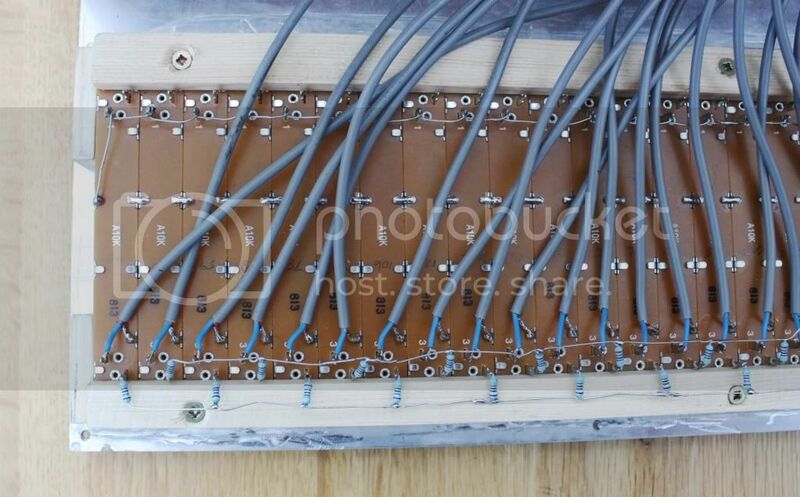 The resistors you can see are just temporary, testing different mixing arrangements at the moment. Awesome. Yes, that makes total sense. Thanks! Looks superb! Very classy job - any pix of your full system yet? How do you make the front panels? Thanks,I let them manufactured ,these are laser engraved (cheapest solution so far). Wow, that sounds very interesting and useful - can you let me know where you get them made? Its a local manufacture here specialized in aluminum only. this thing sound F**king AWESOME! Thanks juergen for your great designs! Excellent work Teknik, up to your usual very high standards. 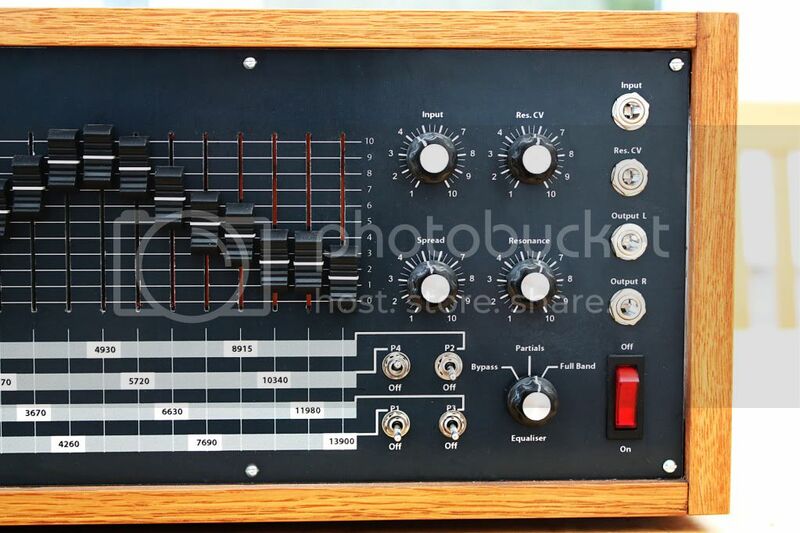 I really like the look of the complete rack - are these based on 5U synthesisers.com format or are they 6U high? Hi,thank u for your kind compliments,its 6u ,5u is impossible to find,in fact 5u subracks its nowhere WW available. The gap at the bottom will be filled with a front that i will let manufacture ,the powerswitch will fit on it etc. That makes sense, I really like the idea of having power switch on the front of the rack without having to loose a module space to house it and psu. Looks like you've invented a new modular format! Here's my first JH build, been chipping away at it for ages. Huge thanks are owed to VTL5C3 for helping me trouble shoot and get it finalized. Tau as a floor friendly module, with fairly maxed out (almost deluxe) controls. 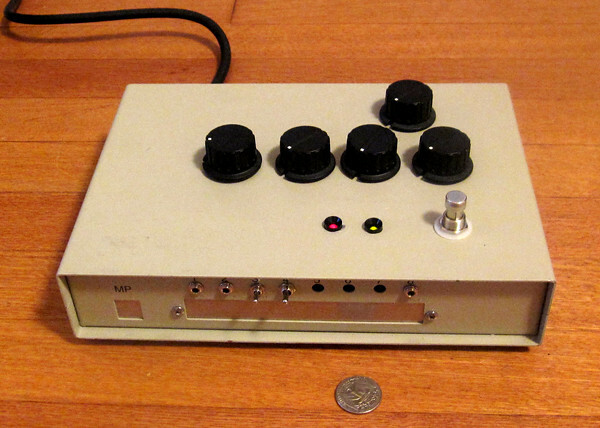 Stomp switch for rocking or, controls work nicely when placed atop my Farfisa organ and it sounds mighty on that keyboard as well. Stereo outputs and CV inputs make it work nicely at my mixing desk as well. Thanks Juergen looking forward to doing more! Hey Paul! That's an interesting and sparse design. It it working well?